In the GM scheme of things, I’m relatively new. I’ve created several adventures for Skeleton Crew and my other games, and heard positive feedback. However, they would definitely fall under the “on the rails” category. In the case of the Masters of Umdaar game, the characters were literally in a single hallway, without a single side branch they could veer down. 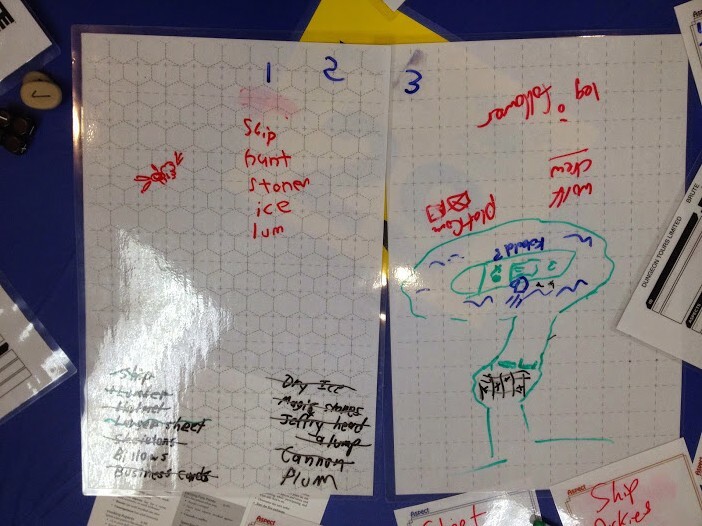 Of course, that was a 2-hour demo game, but Sophie Lagace’s blog inspired me: could I create a really short adventure that wasn’t on the rails? If New Manchester, the SC city, was so such a great setting, why not show it off some? SPOILER WARNING: If you’re signed up for the Skeleton Crew game this Saturday at Victory Comics at 12pm in Fairfax, VA, this contains a few spoilers. If you’re in the Northern Virginia area and you’re not signed up, WHY NOT?! Post here to reserve a spot! “I will get Peter Quince to write a ballad of this dream: it shall be called Bottom’s Dream, because it hath no bottom;” – Nick Bottom, in A Midsummer Night’s Dream. That was my goal: to create an adventure with a strong start, but no predetermined “bottom.” Here’s the premise I used for the story, based on a comic idea cowritten by Monica Marier. The story begins in Oldetown New Manchester, next to the old Town Hall, which is now a historically protected building. It is the local holiday Name Day, and the streets are filled with tourists, small-fry politicians, vendors, and street performers. The smell of funnel cake permeates the evening air. The city of New Manchester is celebrating Name Day because, on this day in 1689, a group of ragtag villagers and tradesmen defeated an invasion by vicious pirates. Until then, the community had been nameless waypoint between other settlements, but after their victory, they christened the area New Manchester. From his rowboat, several other skeletal pirates (these looking a little more solid) join Blackstache’s side. Together, they grab Mayor Mayer, and make their way through the crowd to the street. Overhead, a dozen more spectral rowboats glide overhead, heading inland under a canopy of darkness. The heroes will hopefully get involved at this point (the precon character Zomboy has the aspect “Superhero in his own mind,” which can definitely be compelled for this purpose.) If the players don’t give a reason, maybe the skeleton henchmen start robbing the crowd members, including your heroes. In my Roll20 Game, the person playing the little girl Peek-a-boo demanded Blackstache give her his awesome tricorn hat. 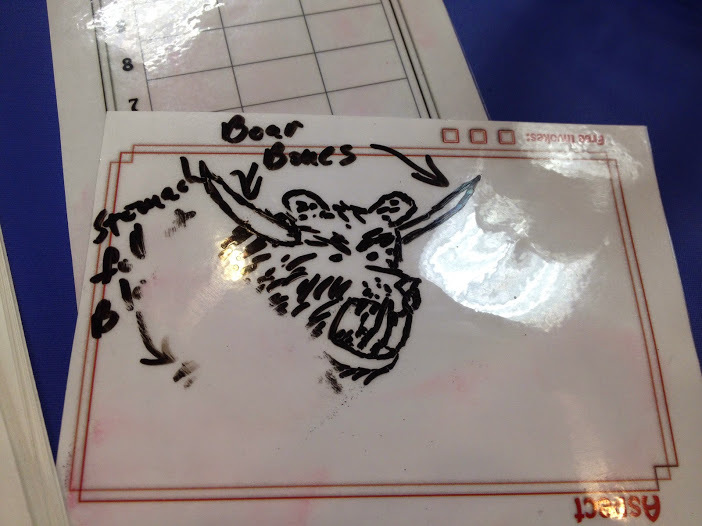 The Crew is divided into two gangs of pirates, the Skull Dogs and the Sea Vultures- for the sake of the session, I had the Skull Dogs be the melee fighters, and Sea Vultures be the long range marksmen. They CAN suffer stress from mental and physical attacks. 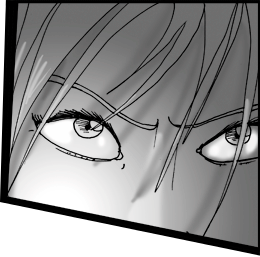 (If Caomh Culainn is in the party, he’s the only one who can Intimidate them, or it’s +2 harder for everyone else). If beaten, they can be questioned. During the first scene, Blackstache is invulnerable to all physical and mental attacks. All physical attacks go straight through him, and because he’s invincible, he laughs off any intimidation attempts. I go more in depth about Invulnerabilities in the Skeleton Crew rpg rulebook, but in a nutshell, it’s a Compel- the first player to discover a physical or mental immunity gains a Fate point at the end of the scene. Any attempts to capture him will ultimately fail. More on that later. Blackstache’s objective in the first scene is to kidnap the Mayor- it IS possible for him to fail, meaning the player do have a way of winning the Conflict. If the Mayor is rescued and is not recaptured in the next turn or two, Blackstache will give a conditional defeat; automatically escaping without his prize. If the players don’t rescue her in a few turns, he’ll leave with her. After he leaves, any crew still around will continue fighting until they are defeated or concede. Blackstache and his crew are greedy to the Nth degree, but not very well organized, and a bit on the dump side. It’s pretty clear that they hadn’t really planned this whole thing in depth. If questioned about their demands, they’ll start with “take what is ours!” and then waffle a bit if you ask for specifics. Have a skeleton crew mate hint about gold on the ship. Have the mayor (or, she’s abducted, the deputy mayor) pay you. So, to repeat what is established above, the players cannot beat Blackstache as they are at the beginning of the adventure? A. Anyway they come up with. Really, any scheme they concoct can potentially work. For a comedy/adventure game like this, no scheme is too stupid, so long as it requires a little effort. That’s the goal: an adventure that can go anywhere the players want. In a more complex system, this might be a bit harder, but luckily Fate is loose enough that it can be done on the fly. Weapon / Invention: If they want to build an invention, I would use the “Building Invention” rules, as they appear in the SC book (it’s essentially a variation on the Challenge rules). This makes the players struggle as they scrounge the city for essential parts, even as the pirate gangs create chaos around them. Ritual: Using the same rules as Invention, but with a magical twist. Book Run: If they want more info, they can swing by the library, where they’ll find the condescending Librarian Dezi Dewey. She greets them on the steps, and tells them the essential book they need, “Journal of Goody Goodwife,” is a blue book in the Reference section (no, you’re NOT allowed to check it out!) Upon entering the library, you find the place ablaze, as some lesser skeleton pirates are wrecking havoc. Getting the book can be run as a Challenge or a Contest. For results, see “Useful Info” below. Achilles Heel: maybe Blackstache has a secret weakness, such as a magical talisman that gives him invulnerability. Maybe it’s closer to a horcrux, such as a part of him that is stashed somewhere else, like his heart in a music box, or his soul in a hourglass. This is a good plan b if the party is adamant in charging after Blackstache (who’s residing on the ship) before learning how to hurt him. No doubt his weak spot would be kept near him for safekeeping, probably in his cabin. Séance: If your members try to gather information from the dead (in their lair or in the Oldetown cemetery) they’ll be able to talk to actual colonial residents. Using the info from them (or even bringing the spirits along), and leverage, shame or even scare Blackstache for good. Blackstache had united two warring pirate factions based out of Pirateton, the Skulldogs and the Sea Vultures (who were bitter rivals.) It is possible to wedge them apart. Blackstache’s real name, Bartleby Briganmeyers. Names have power, and potentially, the name is all you need to cause him to quake. This can be used in a binding ritual, or be added on top of an attack spell. If there’s no spell caster in the party, maybe just mentioning the name will break the shield. Of course, you can always start a social conflict and shame “Bartleby” with just how ridiculous his name is. Burial Site – this one is not information I would OFFER, as I imagine Blackstache as dying out at sea. However, if players insist on finding his burial spot, your sources will reveal that his corpse wound up on a small island off the coast. As any Supernatural fan knows, you can always salt n’ burn the body. What else did I prepare? Skeletons are puppets of dried bone, controlled by a necromancer from the outside. They have no memory or emotion, and no connection to person they used to be- they are practically robots with a grim skeletal smile. Skeleton Aspects –Undead – Skeletons are undead, and as such, might have weaknesses to holy magic, silver, and other magical purities. ; No Pain; Rattling Bones. Autonomous Parts – It is possible for a skeleton’s body part to keep moving, even after it has been severed from the rest of the body. Alternative: You may have the skeletons be resurrected marksmen (musket men, pirates, crossbowman.) If so, replace all Fight skills with Shoot. Some useful locations, like Hubris University, Bell & Cat Magic & Book Shop. Phone a friend: If the players are lost or failing to come up with an idea, I was prepared to have an NPC call them up and guide them to a conclusion, such as Ol’ Man Jenkins, the Caretaker at the Library and/or Graveyard; or Prof Ephipany at BIFZAP Research labs. Because this was a Roll20 game, I had a few maps handy, like an Oldetown cobbled street, a modern city street, a library (with flame tokens), a pirate ship (inside and out), a graveyard, etc. Roll20 isn’t perfect, but it’s darn handy (I could write a whole blog on it, and probably will. My first test with it was a huge success. It ran about 3.5 hours, but at least 30 minutes of that was figuring out how Roll20 worked. What are your thoughts? Share your awesome stories. 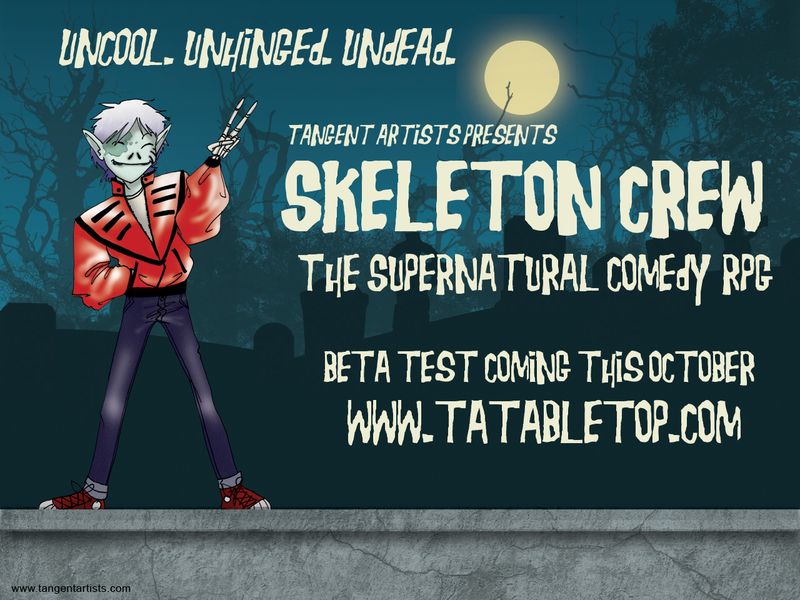 If you haven’t already, sign up for the Skeleton Crew Beta test, and receive a FREE copy when we release.